We use land-use planning to ensure that land and water resources are available for agriculture and food businesses to expand and grow. We provide planners with up-to-date information about agricultural businesses, industry codes of practice and environmental guidelines. We also provide advice on the productive capacity of our soil and water resources so that communities can identify and protect priority agricultural land across Western Australia. 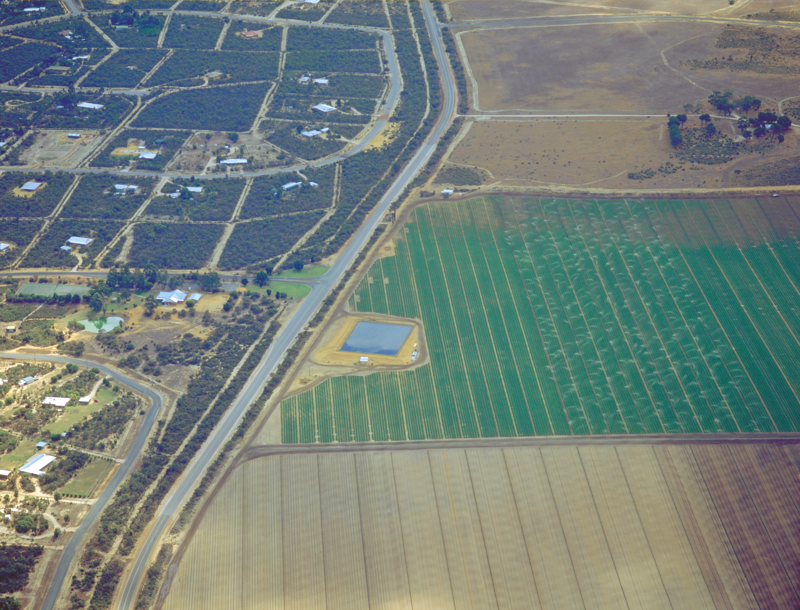 We provide information and advice to the Western Australian Planning Commission, the Department of Planning, Lands and Heritage and Local Government Authorities to assist strategic land-use planning for agriculture. We advocate rural land-use policies, strategies and plans in Western Australia which support the ongoing operation and expansion of agriculture and food processing businesses (see Figure 1 as an example). Our department does not routinely provide advice on individual subdivision or other development proposals; instead, we provide strategic advice in the review and development of land-use plans and policies. identify suitable separation distances and buffers between land uses potentially competing with agricultural, food production, and processing land to avoid land-use conflict. You can get advice on agricultural land-use planning matters from the contacts below or email landuse.planning@dpird.wa.gov.au.